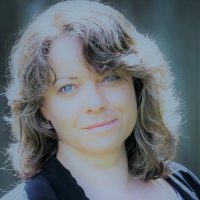 Dr. Sarka Lisonkova is an Assistant Professor in the Department of Obstetrics and Gynaecology and the Children’s and Women’s Hospital of British Columbia in Vancouver, and an associate faculty member at SPPH. Her medical training was in the Czech Republic and she obtained her MSc in Epidemiology from the State University of New York, USA, and PhD in Epidemiology and PhD in Epidemiology and Biostatistics at UBC. She holds a Michael Smith Foundation for Health Research Scholar Award for her research in maternal and perinatal health, and the Sick Kids Foundation and CIHR New Investigator Awards. Dr. Lisonkova is a perinatal epidemiologist working in the area of maternal, fetal, and neonatal health and health services research, and her research focuses on adverse perinatal outcomes among high-risk and vulnerable women.